Plumb Center and Bathstore parent company reports significant drop in profit, as net debt increases to £1,223m. 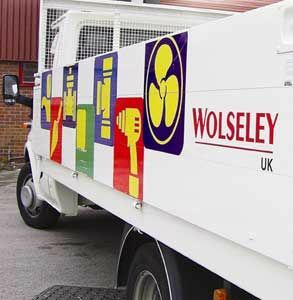 Wolseley plc reported a 20% drop in revenue for the three months ended October 31. Its pre tax profit was also down 50%, as the group said it expected market conditions to remain challenging. The group, which operates the Plumb Center, Build Center, Pipe Center and Bathstore chains in the UK, as well as Wolseley UK and Ireland, reported a £264m increase in its net debt in the three-month period, taking the figure to £1,223m. Wolseley's revenue in the UK and Ireland dropped 13%. However, trading profit, excluding £5m restructuring costs, was up by around 17%, as a result, explained the company, of "cost reduction actions in the prior year". Last year, Wolseley plc reduced its workforce by 9,848, closing a total of 653 "underperforming stores" across its international business, which also includes the US, France, Finland and Canada. Trading profit in the lightside division in the UK and Ireland was marginally up in the first quarter, despite a drop in gross margin, while the heavyside division reported improving sales and profit trends. The company added that the Irish market continues to be "extremely challenging", although the rate of trading losses has stabilised and is largely in line with the same period last year. Wolseley group chief executive Ian Meakins commented on the results: "The overall trading environment continues to be extremely tough and we remain firmly focused on driving operational performance. We will continue to focus on delivering improved service to our customers, protecting share and gross margin, driving further cost reductions and delivering a good cash performance."